Remove neighboring parts of electric oil pump. Remove electric oil pump sub harness. 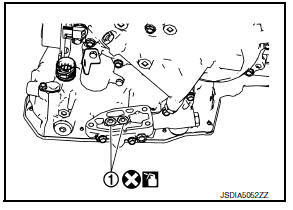 Remove electric oil pump and motor assembly mounting bolts ( ). 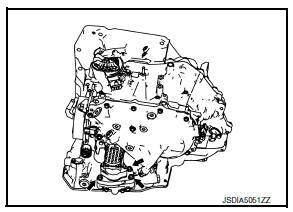 Remove electric oil pump and motor assembly. Note the followings and install in the reverse order of removal. Apply CVT fluid to O-ring. 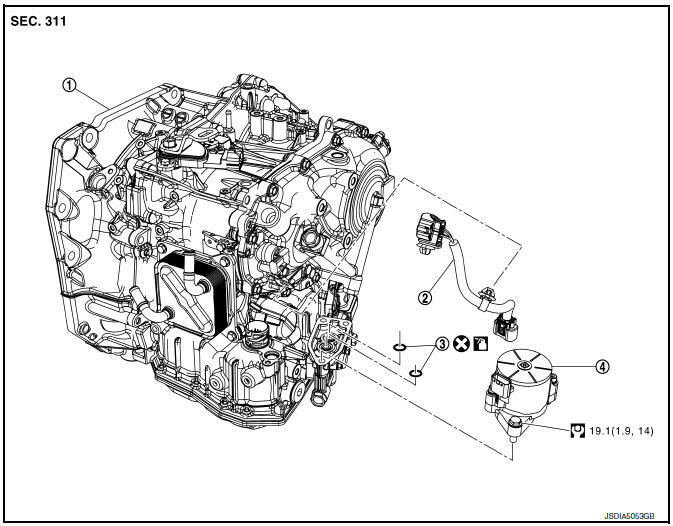 Start the engine and check visually that there is no leakage of engine coolant and CVT fluid. Perform bleeding of electric oil pump with CONSULT.